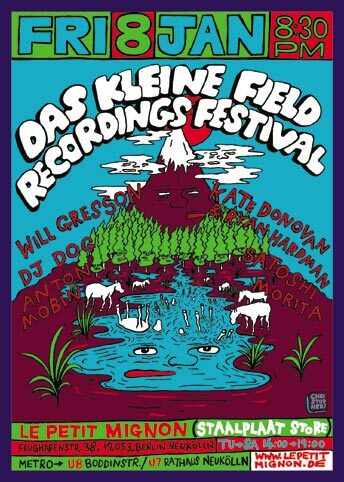 Das Kleine Field Recordings Festival is basically a “no-budget” presentation series for field recording in all its artistic expressions, organized in Berlin by Rinus Alebeek. Live presentation events occur frequently. Since 2009, these have been held in venues and festivals outside of Berlin as well.